I dont know A4 but search for pattern chaining. Should be something like Hold Page + Pattern 1 + Pattern 2 to chain. Do you mean pattern change , or are you trying to extend a pattern longer than 16 steps to effectively change the ‘page’ , there are up to 4 pages per pattern. If you are in Trig Rec mode the page dont change automatically as it is playing, this is so that you can continue editing a page without being interrupted by a page change. Pic looks like you’re in grid recording mode. The brightest led will always be the page you are on even when the sequence is playing. Videos and this is happen , so the question is how i can control by visual my pattern and make changes live without changing manually? I think what you saw was Live recording mode. 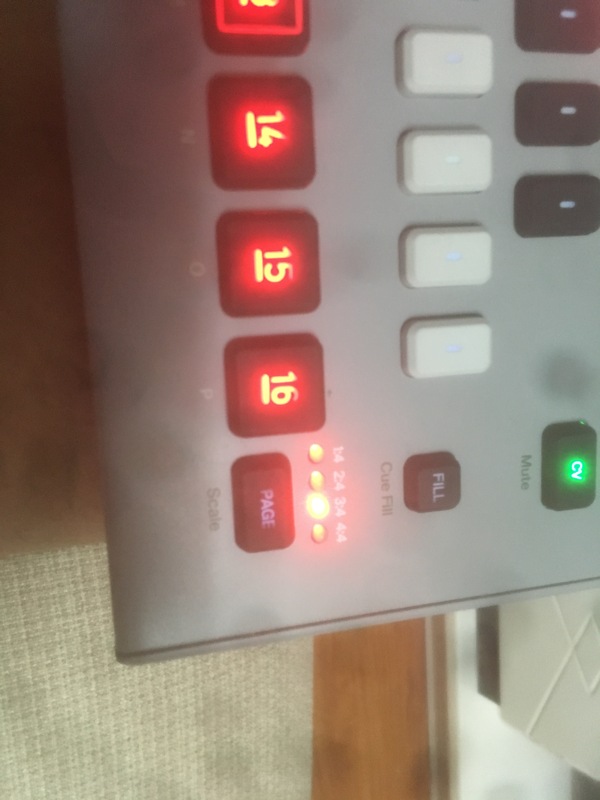 In the video you saw was the REC button blinking or solid red? I saw the led blinking and the steps moving, not only on the frirst 1:4 but all the complete pattern. yeah its live record mode. This means that the pattern play and record your trigs live. Hold Rec and press play to activate this. Okok i see , i onow that but my question is in trig mode can i follow live the intere patterne without changing manually?? The pages will not change automatically while its playing. If you want to edit page 3:4 you have to activate grid rec mode then press page until you get to the page you want to edit. Okok so i can’t no options…ok thank you so mouch for attend me, and for my opinion it will be better if we can follow our patterns for using that for making live session what you think? I think it would be too hard to edit the page you wanted if the sequence pages changed on you while in trig/grid record. The problem with that would be that if you have a beat thats pretty fast you dont really have much time within a page to make any edits. The LED would be changing all the time and confusing so you would have to look at remind yourself what page you are in your beat. Imagine having a 200 bpm beat, u get a few seconds to see what changes you can make. Ok right but it will be a option, you can decide or not becouse im my case it will be amazing but i understand.